Home › Ideas › Business › Do Businesses need a Social Media facelift? Do Businesses need a Social Media facelift? Does your businesses need a facelift on Social Media? I’m asking for a simple reason. Most companies rushed in and joined social media platforms like Facebook, LinkedIn, etc. Most businesses built a basic display as they raced to get a presence on these sites. They linked sites together and made sure that traffic could be directed to their website. With production of content, the business should grow. This seems a perfect plan. There’s a problem. Most sites are poorly designed and not well though out with the consumer and followers in mind. Think about your business site on Facebook . Is it poorly designed? Is it people friendly? Ask your followers on Facebook? What do they want? This helps in getting ideas to improve the look of your site. Only by listening, will you be able to formulate a redesign plan for each of your sites. Here are some tips to keep in mind when redesigning your Facebook site. House Rules. Establish rules on what people can do and not do on your site. If you are having trouble writing them you can look at some other sites to get ideas. Do not copy it! Or you can use a copywriter to write it. Enforce the rules, otherwise don’t put it up. Welcome Page. You can build a welcome page using a template on your Facebook account for free by going to the Wix site. This site is a free online tool that allows you to build websites through drag and drop templates without using coding skills. Visit popular sites on Facebook to get ideas. Plan your content. Content is king. Keep it fresh as good content will engage the followers. Will you include promotions in your content? Engage your Followers. Develop a system to interact with them and the frequency. Listen to what they say about your business and how you can make improvements. Reply to their comments and problems. Sales Planning. There’s two ways. i) Set-up a unique opt-in form to give people option to subscribe to more information about products and services. ii) Allow people to buy straight as an example add a shopping cart facility. Ease. Make navigating your site easy and simple. It’s not hard! There are low-cost solutions. You can join Elance and pay people to do this for you. The better option is to ask people. Know anyone who loves working on these social media sites? Offer them a Recommendation or be a Reference for their work. Always negotiate a win-win situation. You can develop sites one at a time. You find ways to develop your business. Why isn’t it applied to your social media sites. It’s part of your business presence, so develop it. 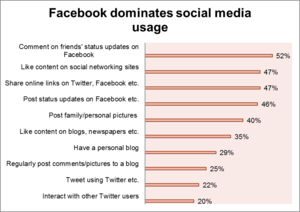 What social media sites does your business need to redesign? What’s up, all the time i used to check blog posts here in the early hours in the dawn, for the reason that i enjoy to find out more and more. Thanks for making your point Jamey. I have been busy with studies lately and hit the writer’s wall. Will try to write some articles soon. Thanks for the motivation.